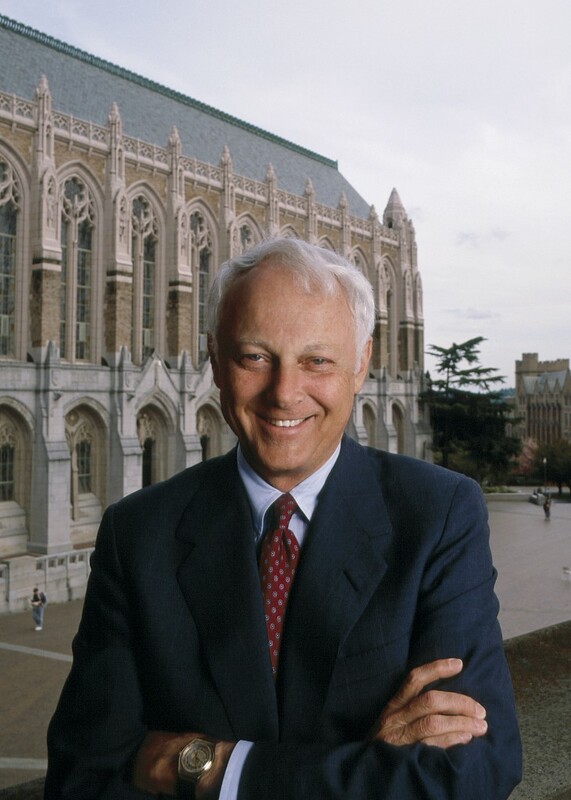 William P. Gerberding, the University of Washington’s longest-serving President (1979-1995), passed away on Saturday at age 85. Bill was a superb leader of UW, a true friend of Computer Science & Engineering, an extraordinary human being, and, along with his wife Ruth, delightful company. Our thoughts are with Ruth and the rest of the Gerberding family. Two particularly nice tributes appeared in the Puget Sound Business Journal authored by Patti Payne, here, and in Crosscut authored by Ted Van Dyk here. A University of Washington tribute may be found here. But, better, read an extraordinary January 1965 Life Magazine profile of Bill as a 35-year-old UCLA assistant professor of political science here. It reveals the scholar, the person, the husband, the father.